Advanced practice registered nurses (APRN) are a vital part of the health system of the United States. They are registered nurses educated at Masters or post Masters level and in a specific role and patient population. APRNs are prepared by education and certification to assess, diagnose, and manage patient problems, order tests, and prescribe medications. CNPs are educated and practice at an advanced level to provide care, independently, in a range of setting and in one of six described patient populations. CNPs are responsible and accountable for health promotion, disease prevention, health education and counseling as well as the diagnosis and management of acute and chronic diseases. They provide initial, ongoing and comprehensive care to patients in family practice, pediatrics, internal medicine, geriatrics, and women's health. 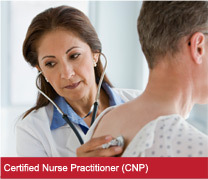 CNPs are prepared to practice as primary care CNPs or acute care CNPs, which have separate national competencies and unique certifications. The CNS is educated at an advanced level to care for patients in one of the six described populations and across the continuum of care. 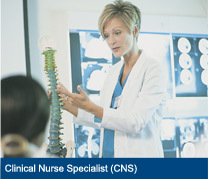 The role of the CNS encompasses the patient, the nurse and nursing practice, as well as the healthcare organization and system. The CNS is responsible and accountable for diagnosis and treatment of health/illness states, disease management, health promotion, and prevention of illness and risk behaviors among individuals, families, groups and communities. 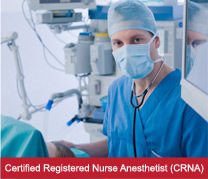 The Certified Registered Nurse Anesthetist is prepared to provide the full spectrum of patients' anesthesia care and anesthesia-related care for individuals across the lifespan, whose health status may range from healthy through all recognized levels of acuity, including persons with immediate, severe, or life-threatening illnesses or injury. This care is provided in diverse settings, including hospital surgical suites. 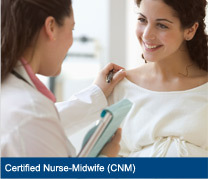 The certified nurse-midwife provides a full range of primary health care services to women throughout the lifespan, including gynecologic care, family planning services, preconception care, prenatal and postpartum care, childbirth, and care of the newborn. The practice includes treating the male partner of their female clients for sexually transmitted disease and reproductive health. This care is provided in diverse settings, which may include home, hospital, birth center and a variety of ambulatory care settings including private offices and community and public health clinics.